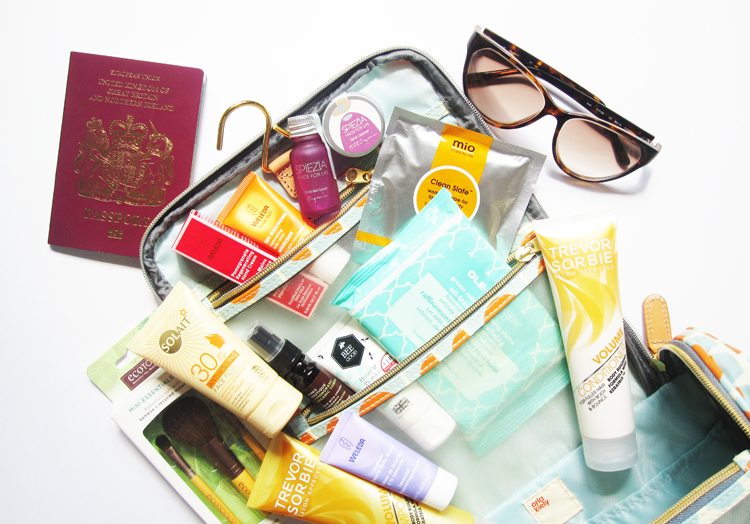 Summer Holidays: The Best of The Travel Sized Minis! 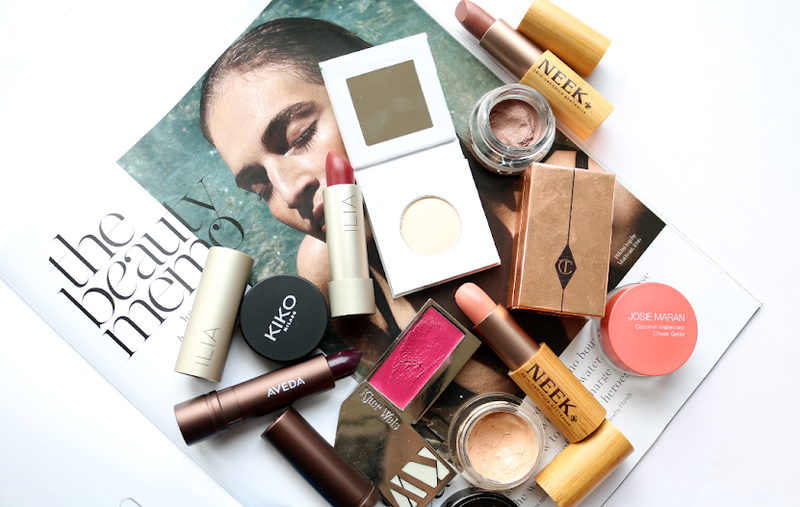 Whether you're about to hop onto a plane for a sunny beach abroad for the next two weeks, or you're simply counting down the days to that weekend of camping in beautiful Wales, this is my special edit of some of the best beauty minis to pack into your travel bag. I'm very lazy when it comes to haircare on holiday, but if I'm going away for more than a couple of days, I'm going to need some shampoo and conditioner. To keep things low maintenance, I'll usually opt for a good volumising formula so I can just wash and go. 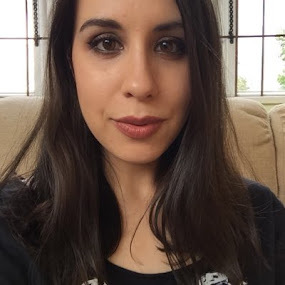 Trevor Sorbie's Volume Minis* (available from Boots) are an ideal budget friendly option and his range is one of the few mainstream brands that my sensitive scalp seems to get on with. The Volume line also features an awesome Thickening Spray which doubles up as a heat protector as well as being fab for creating big, easy blow dries. The shampoo and conditioner are 100ml sizes so they're perfect for longer trips away or if you're sharing with a friend or partner. For natural SLS-free haircare and luxury options, check out brands like Swell and Rahua, both of whom have excellent travel sized sets. Dry shampoo is like an invention from the beauty gods and I always have to have one in my travel bag. My current favourites are COLAB in Monaco (50ml, £2, link) and Philip Kingsley One More Day (50ml, £5.95, link). I also love TIGI Bed Head Sugar Dust* (1g, £7.45, link) which is like a dry shampoo and volumising powder in one. See my 'Handbag Heroes' post for more recommendations. One area that I absolutely do not skimp on when travelling is my skincare, and I'll happily pack a full set of minis to cover everything that I need. 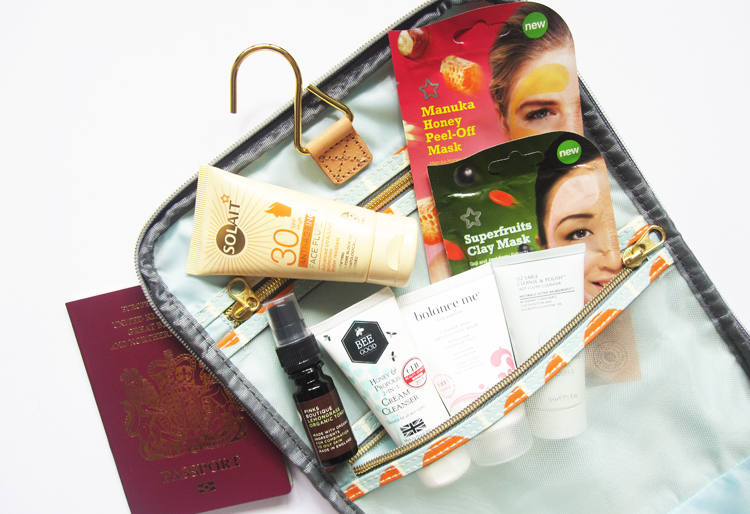 Brands like Liz Earle, Balance Me and Pinks Boutique offer lovely travel sized versions of their bestsellers, many of which you can pick up in handy try me kits. I'm excited to see that Bee Good have also branched out into this area and released a mini of their wonderful award winning Honey & Propolis 2-in-1 Cream Cleanser* (30ml, £4.95, link) which is suitable for all skin types and doubles up as a make-up remover. I'll always try and include a face mask and highly recommend the sachets from Superdrug's own brand (99p, link) - they're usually by the counter aisle if you have trouble finding them. I usually get at least two uses from one sachet which means more room for other products! Keep an eye out for magazine freebies too as they often give away skincare minis from various brands, most are luxury/high-end, around this time of year. And don't forget your sunscreen! As well as packing a general body one, make sure to pick up a dedicated face one too. I'm currently using Solait Face Fluid SPF 30* (50ml, £3.49, link) which sinks in quickly and doesn't feel greasy. 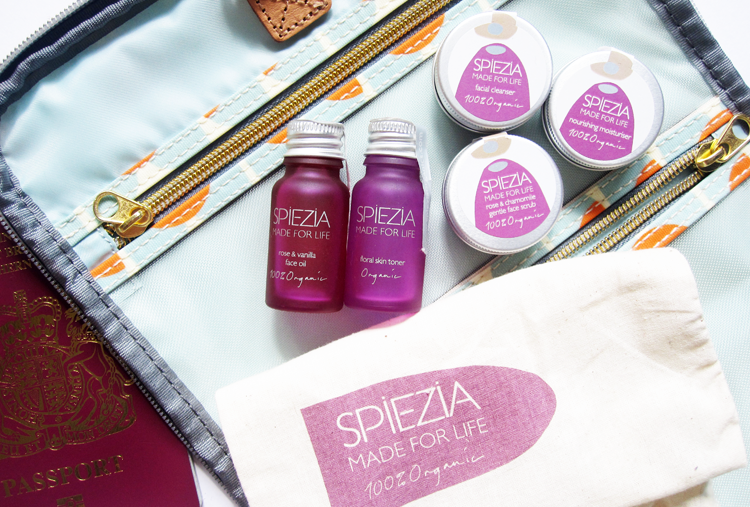 For a complete skincare travel set, I'd recommend something like Spiezia Organic Facial Starter Set* (£25.95, link) which includes a cleansing balm, toner, face oil, face scrub and moisturiser. I absolutely adore their Facial Cleanser which is one of the best cleansing balms I've ever used (featured in my June Favourites) and now after trying this set of minis, I'm in love with their Rose & Vanilla Oil and Rose & Chamomile Gentle Face Scrub too! 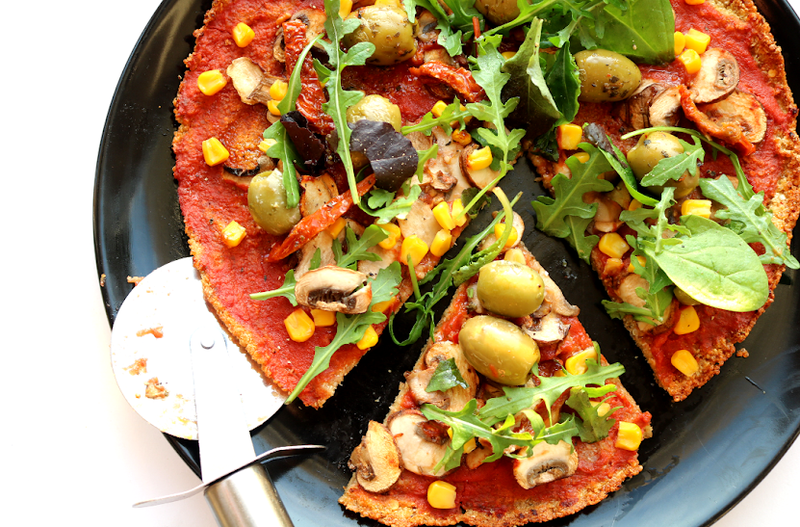 Everything is 100% organic and made in Cornwall. I don't really advocate using wipes on a daily/regular basis for environmental reasons, but they do come into their own when travelling and definitely can serve a useful purpose when you don't have ready access to water. For easy cleansing, Ole Henriksen Grease Relief Cleansing Cloths* (pack of 10 wipes, £12, link) are perfect for oily/combination skin that gets greasy quickly in the heat and includes botanical AHAs to deep clean pores. These would be great for taking onto a plane as well as they're also available in smaller packs of 10. 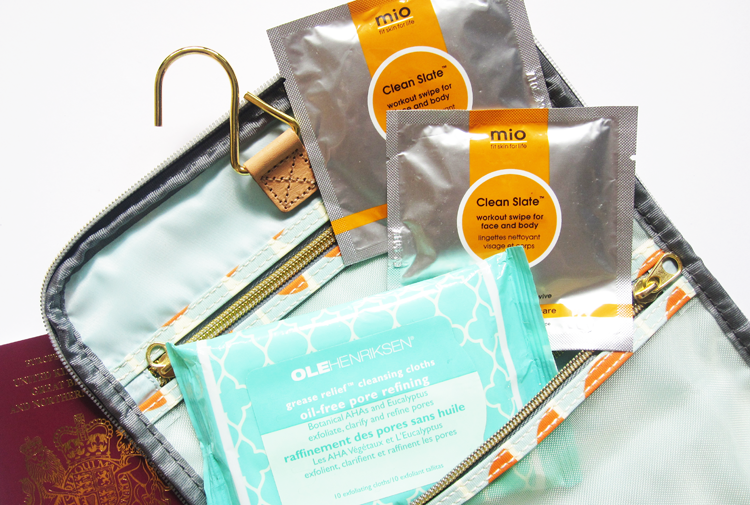 I've also recently discovered Mio Clean Slate Workout Wipes* (pack of 25 jumbo wipes, £27, link), which as the name suggests have been created for using at the gym post workout, but I think they're ideal to take with you travelling. Each wipe is 'jumbo' sized so you can quickly refresh your whole body with just one. They remove makeup and are SLS-free too. Very pricey but they do come in very handy if you've got the cash to splash. I love buying mini body washes and for a special trip away, I'd wholeheartedly suggest splurging on this gorgeous Weleda Mini Body Wash Set* (£9.95, link). The set has five 20ml sized Creamy Body Washes, each one in a different scent and the SLS-free formulas feel amazingly nourishing on the skin. I always recommend these to people who have dry skin because they're so hydrating, and the scents are just beautiful! My personal favourites are Pomegranate, Wild Rose and Sea Buckthorn. 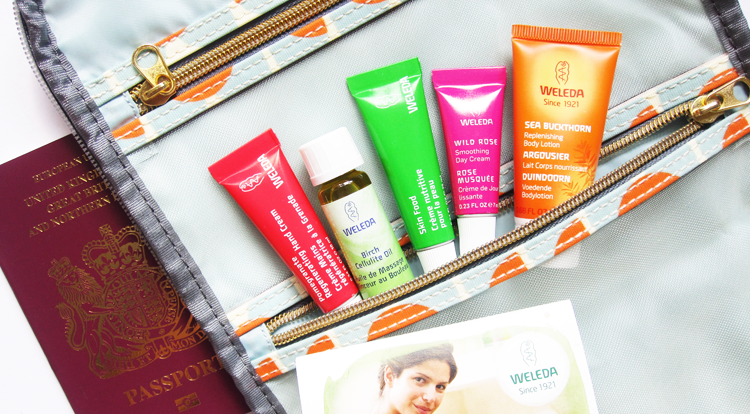 For a complete travel sized bodycare set, I have yet another gem from Weleda. This one is their Heroes Kit* (£14.95, link) and it features five of their most known and loved products. Inside the kit you'll find their cult Skin Food (amazing multi-purpose cream that I've mentioned countless times! ), the much hyped Birch Cellulite Oil, their bestselling facial moisturiser, Wild Rose Smoothing Day Cream, the stellar Pomegranate Hand Cream and Claudia Schiffer's favourite body moisturiser (and one of mine! ), Sea Buckthorn Replenishing Body Lotion. 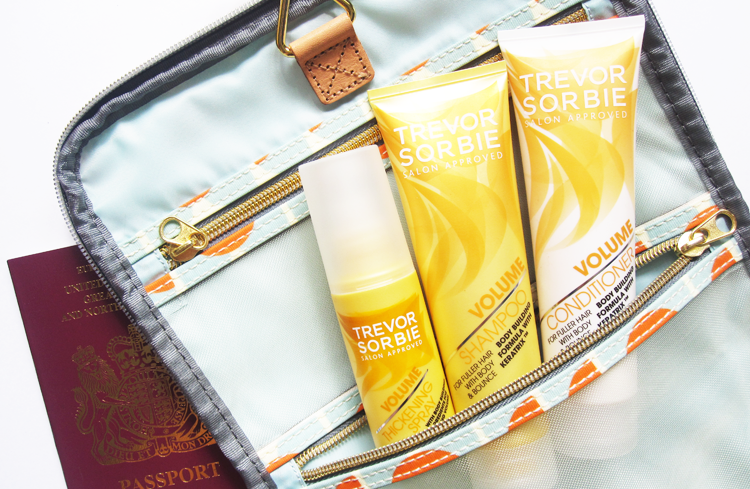 A fab all-round travel set. 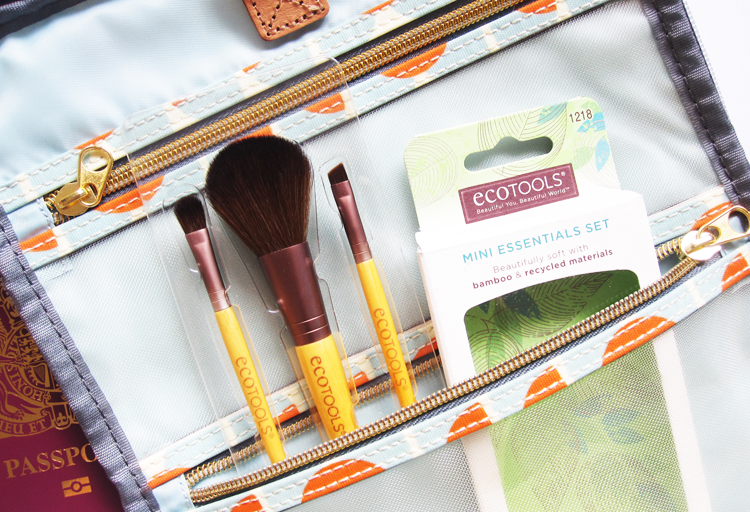 Lastly, I wanted to include this ultra cute set of travel sized make-up brushes from Ecotools. 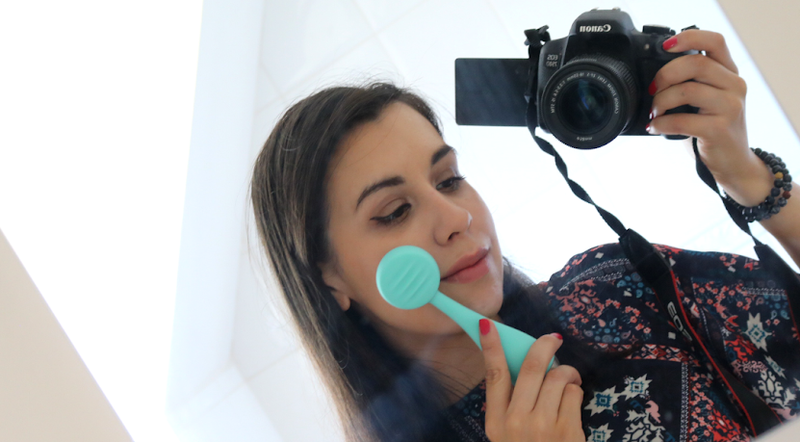 I'm a big fan of Ecotools because all of their brushes are created with sustainable bamboo and recycled materials, and the bristles are cruelty free. This Mini Essentials Set* (£5.99, link) has an Eye Shading Brush which is good for all over the lid, as well as in the crease to add some depth; a Full Powder Brush that works well with mineral foundations, bronzers and blushers and an Angled Eyeliner Brush which is perfect for creating easy cat eye flicks with. And did I mention how cute it looks?! 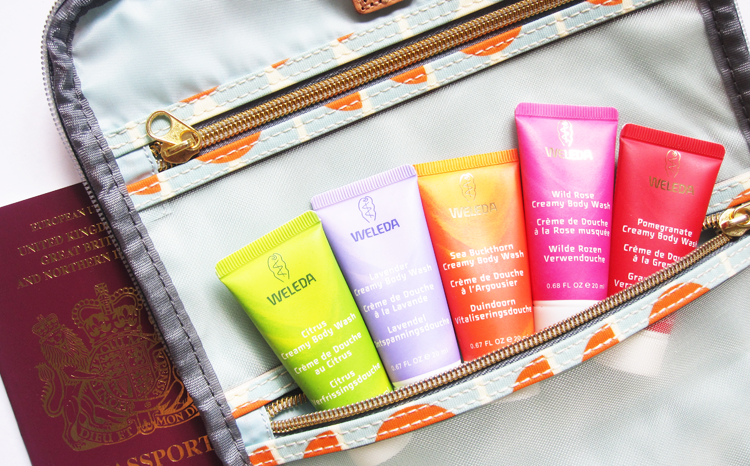 What are your favourite travel sized beauty minis? There's part of my that loves minis, but then another part of me hates them in equal measure. I mean they're cute and everything but I just love the big full size products haha! Some really nice choices here though, I'm not going away anywhere for the forseeable future but you've made me tempted to try a few things! 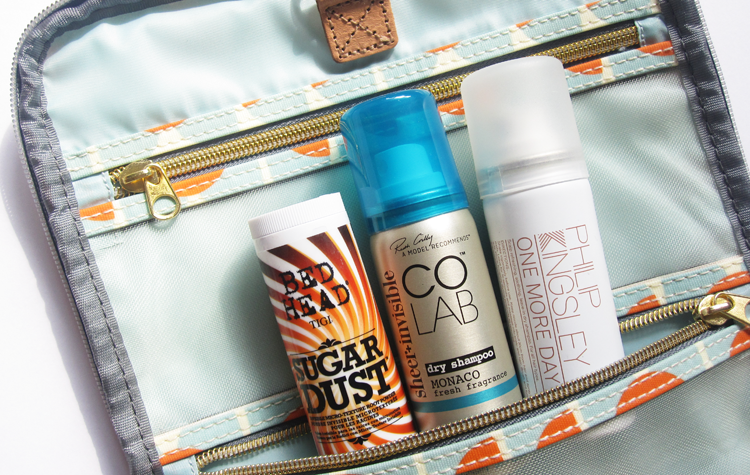 I love a good mini the colab dry shampoo is my favourite dry shampoo ever!! I bet you had so much fun writing this post with all the little minis!